A couple of years out of college, Katie R. had already learned a few things about what she wanted in a career—and perhaps just as importantly, what she didn’t. “I just wasn’t fulfilled,” she says of the entry-level corporate human resources position she landed upon finishing a post-grad management degree. After two years she decided to leave and went to work as a bar and restaurant manager in Sudbury, Ontario. The fast-paced environment suited Katie well and allowed her to bring a different set of skills front-and-center: Energetic personality. Professionalism. A focus on customer service. Training and team-building. Still, she knew the job offered limited potential for advancement. “I didn’t see a future there with potential to take on new opportunities.” she says. 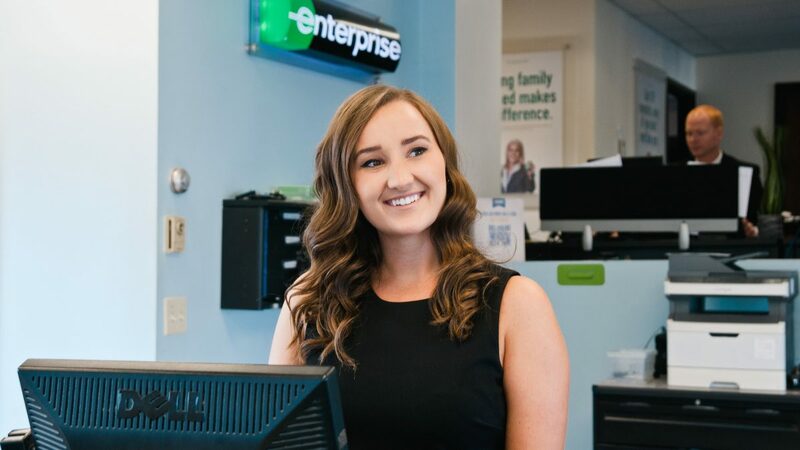 And that’s a big part of why Katie, now a Management Trainee in Ottawa, was inclined to listen when Assistant Branch Manager Cassandra C., a former employee at the restaurant, invited her to consider a career at Enterprise. Apparently, the word is starting to get out. When the job search website Indeed published its inaugural list of the best places to work in Canada, Enterprise earned a spot in the Top 25. It’s a notable honor, especially since most of the companies listed are much larger employers – with tens of thousands of employees compared to the 5,200 who work for Enterprise Holdings in Canada. Also noteworthy: The Indeed recognition was organic. “It’s not an award we applied for—the ranking was based entirely on employee feedback,” says Margi D., AVP of Human Resources. As such, it underscores the company’s emphasis on employee referrals and development in enabling continued growth.